Traditional T-shirt Mercy for women by Stockerpoint in white. The casually cut shirt with a round neckline made of high-quality material is printed with a cool traditional motif and decorated with rhinestones. 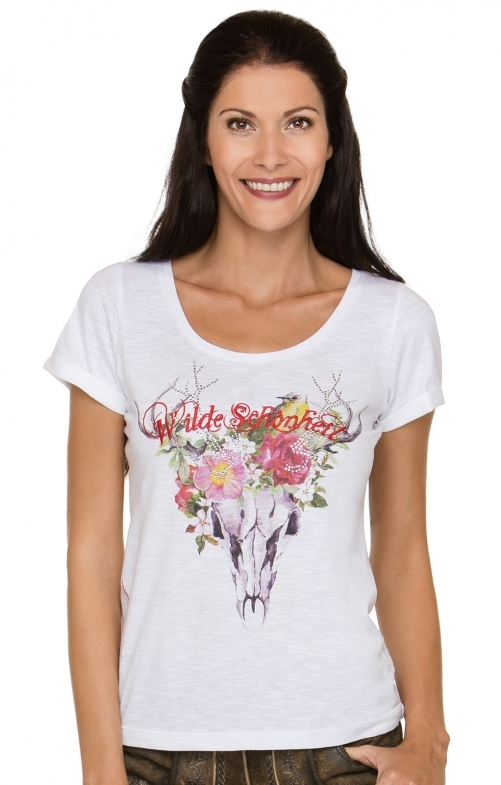 The elaborate, embroidered lettering "Wild Beauty" complement this modern design. The T-shirt can be combined perfectly with jeans or leather trousers. Jeder Zeit wieder, Ware top, besondere Artikel.